For 25 years, our group of businesses and companies, have been premier publishers of high-quality sporting magazines, sports media products, and multi-media in Adelaide and across South Australia. You can be sure that YOUR BUSINESS is in safe hands with Stralia Sports.Com Pty Ltd, and with our expert team of Business Partnership Executives. The Managing Director – Luke Hosie, has been in the print, publishing, media, and newspaper fields, for over 30 years, and knows the industry backward. The staff at Stralia Sports.Com are well known throughout the media and sporting industries and are all very highly regarded in their field. We can safely say that we are Adelaide’s premier media agency, dealing exclusively with sports media. We have built up a highly reputable brand and reputation through hard work, that is synonymous with excellence, and is well known throughout South Australia and Australia. Over the last 25 years, we have produced notable publications such as; The Little Black Book, The Camry Crows Almanac, Sports Cards Australia, SA Waters, and the Footy Budget, to name a few. We have also produced and hosted sports radio programs on the FM band, plus a myriad of other sporting magazines and media. We are experts in producing sports media across all platforms. Our longevity in the industry over 25 years, is the testimony to our success and the successes of the businesses we promote. Pioneering, experimental, inspiring and influential. We are frequently referenced by the mass media. We’ve built a solid, loyal, readership base, which continues to grow. The South Australian Footballer Magazine offers the ideal vehicle for businesses to forge an ongoing relationship with followers of Australian football, and where businesses can market themselves in a credible, inexpensive, effective and integrated manner. The South Australian Footballer is the only publication that links your advert to your website or facebook page inside the magazine so that viewers and readers gain direct access to your website simply by clicking on your advert. We are also the only magazine perhaps anywhere in the world, where you can be reading a story and also be watching a video or listening to a podcast. We have videos embedded into the magazine so that our viewers have a totally interactive product. These aspects of our magazines are truly unique to Stralia Sports.Com Pty Ltd. The social media platforms we use are; The South Australian Footballer TV Network on You-Tube, Google Plus, Facebook, Twitter, Soundcloud, MixLr, and Instagram. Advertisers can also have their company video embedded into their advert, which is a brilliant innovation for larger and smaller advertisers alike. At the end of October 2016, we had just over 68,000 subscribers in our email data base. 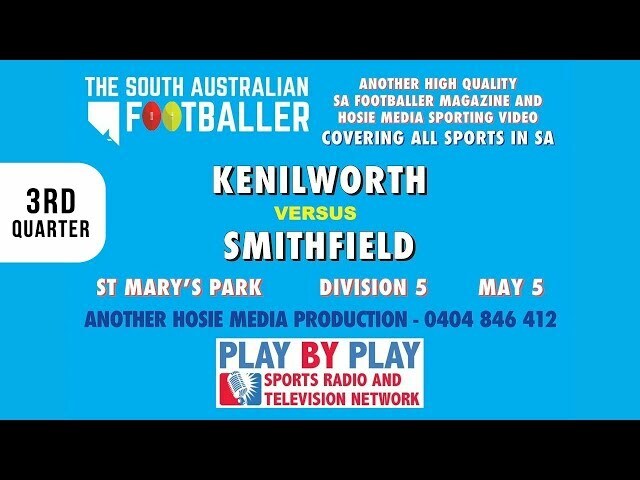 The South Australian Footballer is the largest and best football magazine in South Australia. Across all three publications, we discuss every league across South Australia; from the AFL, SANFL, Adelaide Footy League, AFL Masters, SAWFL Women’s and all 25 Country Leagues across our regional areas. Every football league across South Australia is covered in our magazines. The magazine is made up of the South Australian Footballer, the South Australian Adelaide Footballer, and the South Australian Country Footballer. Our team of Business Partnership Executives, journalists, and graphic designers, create and produce a brilliant mix of South Australian sports media. They are supported by social media content writers and bloggers, who promote stories, videos, and our magazines, through all of our social media platforms. Our sales team are partnership builders. They create a partnership with each business they deal with. Many of these partnerships last a lifetime. Most notable in our myriad of media work is our publications. They include the South Australian Footballer Magazine, the South Australian Adelaide Footballer Magazine, the South Australian Country Footballer Magazine and the South Australian Sports Star Magazine. We also produce and present our own radio shows discussing the Adelaide Footy League, plus we LIVE CALL and VIDEO metropolitan and country games, throughout Adelaide and South Australia. The LIVE CALLING of games and our Digital Radio Network, is one area that is attracting significant growth moving forward, and an area where we will push our reach even further, both in 2017 and over the many years ahead. We have a range of Digital Radio and Internet TV options that we are currently working on, and will roll out over the next two years, once the ideas have become perfected for our vast audience. Most Importantly – Stralia Sports.Com owns all aspects of our media. We own all of the infrastructures to produce our Magazines, Digital Radio and Internet TV. We no longer have to deal with anyone, and we are in TOTAL control of our own media and our future by owning the Publishing, Internet TV, Digital Radio Studio, plus the LIVE CALLING of football. A nice spot to be in, where we can totally produce all of our own content. By owning all of the equipment and infrastructures that make our media possible, allows for us ALONE to determine and control exactly what is read, watched, advertised, praised, criticised or listened to. We will advertise and promote whichever companies we decide. That must be a comforting thought to the myriad of businesses who advertise with us, to know we are in control of all the infrastructures within our company, and you deal with us directly.